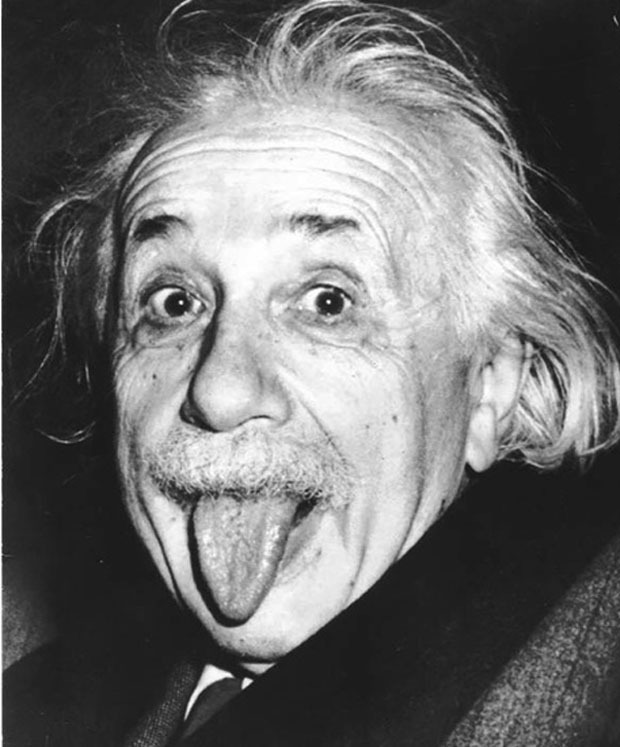 What are the differences between really smart people and true geniuses? Thanks to the Internet I am continuously humbled to be able to further my studies with great thinkers such as Slavoj Žižek, Paul H. Fry, Adele Van Reeth, Noam Chomsky, His Holiness the Dalai Lama, and many others. For whatever reason, my private psychotherapy practice as well as my Esalen classes have attracted a disproportionate number of “severely gifted” individuals — people whose IQs tower over mine (probably not that difficult a feat — just ask any of my ex-girlfriends). 6. They readily (and humbly) admit to be standing intellectually on the shoulders of giants. 10. They search for new ways to surf the paradoxes of existence and consciousness; examples of such paradoxes include the fact that language is a cage but it is possible to push the bars farther apart by creating new artworks, music, words, word combinations, plays, films, etc. ; our existence may be analogous to grains of sand in the hourglass of time yet we can still make meaningful differences in other people’s lives and in the world; that human consciousness is a gift and this makes it particularly horrifying to witness how many atrocities humans consciously commit every day; that politics and the political theater are absurd but that does not give one the right to be indifferent; that there are always other perspectives — dogmatism originates from insecurity and fear. Another thing I have noticed is that the scope and breadth of extremely intelligent and learned people often transcends labels, genres and disciplines. Foucault was an anthropologist but his ken encompassed philosophy, literary theory, art history, psychology, sociology and many other disciplines. The same can be said of Žižek, Frederic Jameson, Richard Rorty and other great post-modern thinkers (c.f. “Professors of the Humanities”). Interestingly, many artists, writers and musicians have believed that their gifts relate to their pains, sorrows, and/or illnesses in some way, e.g. James Joyce, Carl Jung, Joni Mitchell, Marcel Proust, Gustav Mahler, Albert Einstein, Mark Rothko, Friedrich Nietzsche, Jackson Pollock, Ludwig Wittgenstein, et al. However, I have found most people who I consider to be of first-rate intelligence to be quite humorous, e.g. Robert Reich, Esther Perel, et al. Somewhat ironically, I have found that most of the sociologically and psychologically astute and insightful comedians — Dave Chappelle, Chris Rock, Greg Proops, Marc Maron, George Carlin, Jim Jeffries — are not the happiest of people off stage. My favorite quote regarding human beings is Marshall McLuhan’s “I don’t know who discovered water but I doubt it was a fish.” Nietzsche beckoned, “New ears for new music. New eyes for what is most distant. A new conscience for truths that have hitherto remained unheard.” Einstein too was searching for new levels of consciousness (as was Ram Dass and Timothy Leary albeit by alternative means).